This luxurious, historical hotel boasts a stunning setting in London. 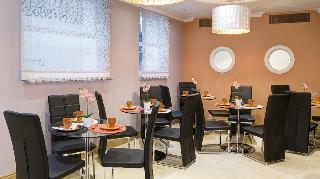 The hotel is located just a short distance away from Regents Park, lying within easy access of links to the public transport network, which provide ease of access to the centre of the city. This wonderful hotel provides a prime setting from which to explore the impressive attractions that this vibrant city has to offer. The hotel dates back to the late 19th century, tempting guests with the promise of unrivalled luxury and charm. The guest rooms are elegantly designed, and come well equipped with modern amenities. Guests can indulge in the ultimate pampering and rejuvenation in the spa, for a truly relaxing experience. This hotel is sure to impress even the most discerning traveller. Situated in the heart of London's West End, guests just need to cross Bond Street to enter Marylebone Village, the perfect place to explore an eclectic mix of upmarket stores, quirky specialists and boutiques. 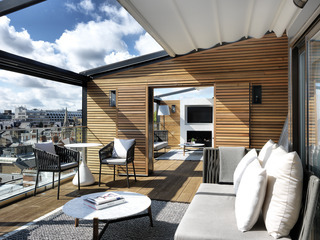 Nestled among Madame Tussaud's, London Zoo and the Wallace Collection, following a huge renovation, this accommodation now offers 257 bedrooms and suites. 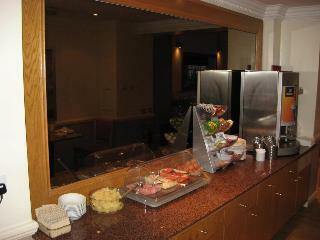 Hotel facilities include state-of-the-art meeting rooms, a leading restaurant and an extensive health and leisure club. It is the ideal city base.The bedrooms comprise of en suite bathroom facilities and all of them come well-equipped as standard. 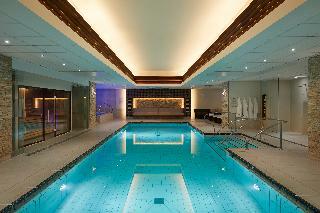 An indoor swimming pool with a hot tub is also available. Guests may relax in the sauna orthe steam room.A gym is also available for guests.A breakfast buffet is available to hotel guests every morning. At midday and in the evenings meals may be chosen from the set menu on offer. The Americana Hotel is located in the very heart of London with excellent public transport links to most of the capital's attractions. An elegant conversion set in a Georgian terrace overlooking leafy Dorset Square, the hotel is just a few minutes' walk from Regents Park and Oxford Street. With excellent facilities as well as comfortable guestrooms and public areas, this small and friendly hotel features 29 tastefully decorated bedrooms, and offers great value accommodation. All guestrooms are with en suite bath/shower, direct dial telephone, satellite television, tea & coffee making facilities and hairdryer. The Americana hotel has a friendly welcoming atmosphere, there is a comfortable lounge with an Internet Desk, where complimentary fresh ground coffee, hot chocolate and tea are available throughout the day. Air-conditioned rooms and free Wi-Fi in the public areas. It is 5 minutes' walk from Baker Street London Underground Station and less than a kilometer from Paddington and the Heathrow Express.The hotel is also less than a kilometer from Marble Arch and the shops of Oxford Street. It has a 24-hour reception desk, and guests can enjoy breakfast in the morning. The modern rooms have flat-screen TVs, minibars, telephones and safes. The private showers or bathrooms come with toiletries. All room rates include a complimentary buffet breakfast. The hotel is located on the quiet Dorset square and is just a couple of minutes' walk from Baker Street underground station. The nearby Jewish Museum and Lords Cricket Ground are some of the most visited destinations of the city. There are numerous restaurants on Baker Street (about 500 metres away) whilst other attractions include Regent's Park (about 1.4 km), Buckingham Palace (about 3.4 km) and Big Ben (about 5.8 km). The airports of Heathrow, Gatwick, Luton and Stansted are approximately 27 km, 50 km, 51 km and 59 km away, respectively.Featuring an elegant decor and warm hospitality, the hotel welcomes guests to spend a relaxing holiday. The hotel consists of a total of 27 rooms. Facilities include a 24-hour reception, a hotel safe, bar, breakfast room and WLAN Internet access (for a fee).All 27 recently renovated guest rooms are individually furnished, featuring a satellite TV, tea and coffee making facilities, Internet access (fees apply), an ironing set and a work desk. Each is en suite with a hairdryer. Furthermore, all of the rooms are non-smoking. 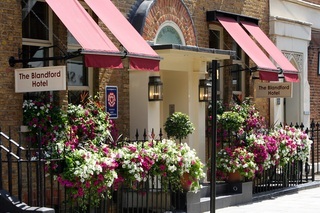 This high quality hotel, boasts an unbeatable setting in the heart of Central London, yet enjoying a quiet but famous Chiltern Street. A strategical location next door to Regent's Park makes the establishment a perfect base to explore London and its riches. Within walking distance travellers will find the world famous shopping districts of Oxford Street and Bond Street, whilst the quiet open spaces of Regents Park are also nearby. For the business traveller, the major trading districts are all within easy reach. Baker Street and Marylebone Stations both are just within few minutes walking distance. Public transport links to all the major airports and assistance with transfer enquiries is available. All this complemented by good sized and delightfully appointed rooms. All units come complete with top notch comforts. In case of any query, visitors may turn to helpful 24-reception.